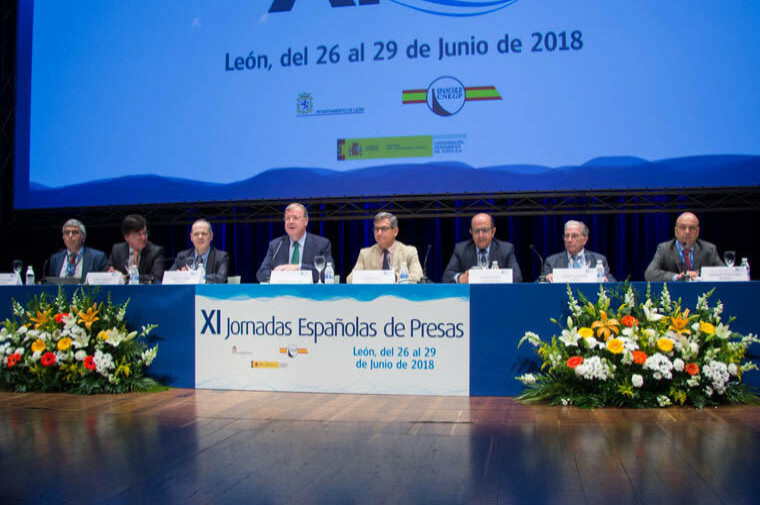 iPresas participated in the XI Spanish Dams Conference organized by SPANCOLD (Spanish National Committee of large dams), which was held in León (Spain) during June 26th –June 29th 2018, under the statement ‘Dams, climate change and water technology. Topics such as: dam safety in Spain, rehabilitation and adaptation of existing dams, the current challenges in the construction of new regulating infrastructure, international experiences, or the usefulness of new technologies in the field of dam engineering, were discussed during the Conference. The event, which involved the participation of more than 500 individuals, served as a forum for the common implementation and discussion of new experiences and solutions in the industry. In addition, during the prior day to the event, meetings of the 20 technical SPANCOLD committees were held, treating different aspects of the design, construction, operation and maintenance of dams and reservoirs. 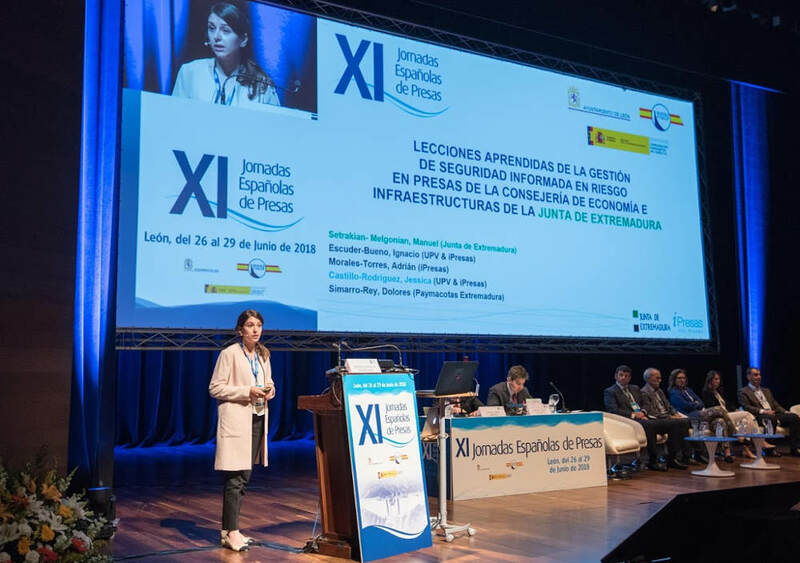 Specifically, Jessica Castillo, Head of RD Projects at iPresas, presented the contribution entitled” ” Lessons learned from regional Government of Estremadura informed security management on dams risks” during B1 session – Water governance as an engine of progress, whose coauthors included Manuel Setrakian (Junta de Extremadura) Ignacio Escuder, Adrian Morales and Jessica Castillo (iPresas) and Dolores Simarro (PAYMACOTAS” Extremadura). Also, Jessica Castillo participated in the B3 session– International experiences, presenting the work entitled “DAMSAFE Project“: Lessons learned from the application of risk analysis to the Bhadra dam – reservoir system (Karnataka, India) “, which summarizes the results of the project performed in the 2016-2018 period and that was coordinated by Deltares (Netherlands). iPresas also collaborated with four papers published in the proceedings of the Conference. One paper was presented during the session B2 – New concepts and tools for planning, design, construction and maintenance, by Yonay Concepción Guodemar (Gran Canaria Water Council) entitled “Numerical modeling in the auscultation design of an arch dam in a change-of-use context.” Analysis of the Soria Dam(Gran Canaria)“. Another paper developed in collaboration with Natural Gas Fenosa Engineering was presented in poster format within the framework of PLANERB project.” This contribution, entiutled “Strategic plan for the rehabilitation of 164 dams in Brazil based on Brazilian risk-based methodology“, was performed by José Manuel Alonso, Ignacio Escuder, Adrian Morales, Modesto Sanchez and Ignacio Guerra.